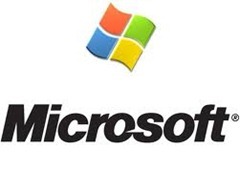 Microsoft stops selling Windows 7 and Windows 8.1 to computer makers/manufacturers ← Readycrest Ltd.
Microsoft yesterday stopped providing Windows 7 Professional and Windows 8.1 licenses to original equipment manufacturers (OEMs), including its PC partners and systems builders. The end of sales for Windows 7 Professional comes a full two years after sales ended for Windows 7 Home Basic, Home Premium and Ultimate. Windows 8 sales ended a few months ago, and Microsoft has been quick to end sales of Windows 8.1 shortly afterwards. Currently, Windows 10 does not have an end of sales date. While you can no longer purchase systems with Windows 7 or Windows 8.1 pre-installed, Microsoft is still supporting both operating systems for many more years. Windows 7 is currently in its extended support phase, and will receive security patches until 2020. Windows 8.1 is in mainstream support until 2018, after which it will enter the extended support period until 2023.